If you are seeking fixed income, don't jump on to the FD bandwagon just yet. Tax adjustments could make debt funds better investment options. Before investing in IPOs, new fund offers and insurance policies, make sure that you are familiar with their growth prospects and associated risks. Non-convertible debentures offer 2-3 percentage points more in interest than bank fixed deposits for a slight increase in risk. You might have invested in the forex market, but have you ever consider including rare coins and paper currencies in your portfolio. How do share prices react to stock splits? How should an investor react to this corporate announcement? We give you a lowdown on different aspects of stock-splits. While you spend to escape the summer heat, you can also gain by investing in companies whose businesses get a boost during these months. As volumes on the Indian equity derivatives market rise, here is a lowdown on how the futures and options segment can help you build your portfolio. Safe to invest in petroleum stocks? Stocks of petroleum companies are trading at cheaper valuations in the aftermath of the upheaval in the Arab world. Is it safe to invest in them? 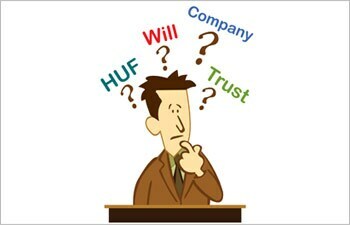 Preparing a succession plan can often be a tricky affair. Here, Money Today tells you the options available and how to zero in on the correct model. Funds with exposure to long-term debt have failed to gain from rising interest rates. There are other debt options that offer better returns. Diversification is the key to portfolio construction. Though spreading your risk helps in minimising losses, you should guard against 'over-diversification. The banking sector may not be the hot spot to be in right now, but watch out for cues on when to get in. More than half the IPOs that hit the markets between 2007 and 2009 are trading under water. Hobbies can turn into serious business. In the first article of a series on alternative investments, we look at philately. An algorithm is a list of defined instructions for calculation, data processing or automated reasoning. The union budget for 2011-12 is set to give fresh impetus to infrastructure. We tell you how to look at investing in companies in this space. M&As may appear to throw up attractive investment options. However, there are dangers and only a long-term investor may stand to gain. Part of your savings should be invested in fixed-income instruments to stave off the risks inherent in equity instruments.